In Baptist Ventures, Inc. v. Hoke, a personal injury appeal for the Supreme Court of Alabama, plaintiff was allegedly injured as a result of medical treatment she received from the defendants. The defendants in this case run an Ear Nose and Throat (ENT) medical practice. Plaintiff was a patient of defendants. In April 2011, plaintiff went to defendants’ medical clinic to have a procedure performed. 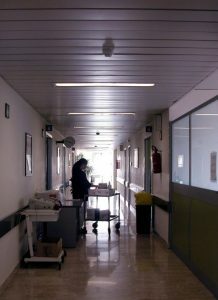 One day prior to the two-year anniversary of this doctor’s visit, the plaintiff filed a medical malpractice lawsuit claiming that the defendants had provided care that fell below the acceptable standard of due care, and as a result of the breach of the duty of care, she was injured.As your Boston medical malpractice attorney can explain, a medical malpractice case is a negligence case like any other, except the defendants are typically held to the standard of a care of a professional in the defendant’s specialty or area of practice. In other words, in a normal negligence case, the defendant is held to the standard of acting as a reasonable and prudent person so as to avoid foreseeable injury to foreseeable persons and property. However, in a medical malpractice case, the defendant is held to the standard of conducting himself or herself as a reasonable and prudent medical provider in the particular specialty anywhere else in the nation. For example, if the defendant is a cardiologist, he or she must act as a reasonable cardiologist that is performing a procedure on a patient anywhere else in the country. In this case, plaintiff alleged that the cause of her injuries was a result of of medical professionals who treated her using latex gloves when they had been told she had a latex allergy. If a patient is allergic to latex, doctors and nurses will typically use a vinyl, nitrile, or polyurethane glove, since they do not contain natural latex. Latex allergies can be quite severe and can cause a patient to go into anaphylactic shock, so this is a big deal. To avoid this risk, many healthcare providers now use non-latex gloves as standard practice. Plaintiff alleged that defendants’ failing to provide her with a latex free environment during treatment caused her to suffer an allergic reaction that resulted in severe personal injury. In this case, plaintiff hired an attorney who was not licensed in the jurisdiction, but that attorney associated with local counsel and appeared on what is known as a pro hac vice basis. This is typically allowed and actually happens all the time. The problem was, as the defendants’ argued, the pro hac motion had not been filed along with the complaint, as is normally required, so the attorney technically did not have a right to file the motion. They also argued that the case should be dismissed, since this would mean that the complaint was not timely filed within the two-year statute of limitations. The trial court did not agree and found that the action had been properly filed for the purposes of the statute of limitations and allowed the case to proceed. Later, the state supreme court found issues with the trial court’s ruling based upon a statute relevant in that jurisdiction and remanded the case for further proceedings.